Transportation Minister Marc Garneau said the minimum bar to get behind the wheel of a semi truck will ensure truckers have the necessary skills, and will be in place by January 2020. 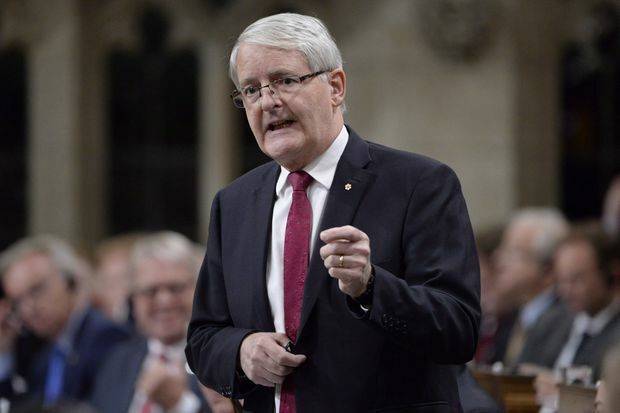 Federal Transport Minister Marc Garneau said the minimum bar to get behind the wheel of a semi truck will ensure truckers have the necessary skills, and will be in place by January, 2020. Currently, Ontario is the only province with mandatory truck-driver training. Saskatchewan and Alberta are to require mandatory training starting in March. The changes in Saskatchewan came after last year’s Humboldt Broncos bus crash tragedy, which Mr. Garneau referenced at a Montreal news conference following a transportation ministers meeting on Monday. “We are truly one big country, and you go from province to province, so the same rules should apply,” Ms. Carr said. Mr. Garneau added that a three-month-old task force examining school bus safety is continuing and did not confirm whether wearing seat belts will become mandatory. “What happens if there is an emergency and everybody has to get out of the bus quickly?” Mr. Garneau asked. The federal government can mandate seat belts on new buses, but the jurisdiction around any compulsory retrofits on existing buses lies with the provinces, Mr. Garneau added.